I just read an article in the LA Examiner by a woefully uninformed writer, Pasha Bahsoun. He mentioned the four senators—not surprisingly all Democrats--who are pressing for the Affordable Care Act (aka, “Obamacare”) to cover autism treatment. Pasha goes on to mention that OPM has “mandated” coverage for federal employees and 32 states have passed insurance reform…I get the feeling he thinks this enough and these senators pressing for clarification that autism therapies are covered is akin to overkill. This ignorance might not be so bad, but his area of expertise is supposed to be special education, so readers might have a reasonable expectation that when he writes a column about autism, it is factually correct. To begin with, OPM did not “mandate” coverage—rather it is allowing federal health plan insurers to offer autism treatment if they so choose…which incidentally, only 38 of 230 participating health plans will offer coverage for 2013. These 38 plans are in regions of 23 states—only New Mexico and Arkansas will be covered state-wide. And, importantly, no insurers in Maryland, Washington, DC and Northern Virginia will offer this benefit…I think it’s no coincidence these are the areas where most federal employees live and work. He also does not understand the implications of states passing health insurance reform for autism coverage. I don’t want to be too hard on Pasha, because insurance coverage is surprisingly complicated. I know when I started down the long road of passing autism insurance reform legislation in Hawaii, I had many of the same misconceptions he seems to have…for example, that if you live in a state that had passed this legislation and you have health insurance, your autistic child would be covered. Seems reasonable, right? Wrong…as it turns out, it depends on the type of insurance you have, and by that I don’t mean Blue Cross/Blue Shield, Kaiser Permanente or Allied Health. It depends on how your insurance is regulated. For example, I am a federal employee so my insurance is federally regulated. Any legislation passed by the State of Hawaii will have absolutely no impact on my health insurance. If your employer self-insures, as large corporations often do, your insurance is not regulated by the state but rather by something called, the “Employee Retirement Income Security Act”, or ERISA. This act “includes provisions that set minimum standards of operation and conduct for employer health insurance plans. A health insurance plan must be operated in accordance with these standards, which are intended to protect participants in the plan...” Hate to tell you, but if you work for a large company, chances are you will not be affected by any health insurance reform passed by your state. There are some employers offering autism benefits on their own without being legally required to…but many others are not. To further muddy the waters, many self-insured companies contract out the administration of their claims to major health insurance companies, so while you may have an insurance card that says “Blue Cross/Blue Shield”, you may not actually have that insurance—in fact, it technically isn’t insurance in the usual sense of the word, but rather it is your company that pays your claims. I have written all this to explain that only about one third (1/3) of kids with autism are affected by any legislation passed at the state level. The military, federal employees, and employees of companies that self-insure are not impacted by state legislation. Does this mean we shouldn’t press on for states to pass legislation for autism health insurance reform? Of course not—I’ve heard the analogy that if 10 people were drowning and you only had three life preservers, would you hang on to those three, or try to save who you could? Right now I’m trying to save those three out of ten kids in Hawaii with autism who otherwise won’t have a shot at the expensive treatment required to get these kids on the road to independence. The point I want to drive home is people with state-regulated health insurance living in one of the 32 states that have passed legislation, and some people lucky enough to work for progressive employers who offer autism benefits have coverage. The majority of people living with autism do not have health insurance coverage. It is for precisely this reason we need the Affordable Care Act to mandate coverage!! If the bolded, italicized and underlined sentence above didn’t make it clear, let me just say I can’t emphasize this point enough. A federal mandate would ensure coverage for the nation's autistic children--state law is superseded by federal law. I would tell you to write your elected officials and Health and Human Services Secretary Kathleen Sebelius telling these folks it is critical behavior therapy for autism be implemented as part of the essential health benefits that are a part of Obamacare. But the election is looming just around the corner, and we don't know who will be in office to lobby at this point...BUT we will soon, right? What got under my skin is Pasha’s article gave me (and probably others) the impression that health insurance coverage for autism isn’t really an issue any longer. That there are misunderstandings and misconceptions about insurance coverage isn’t surprising. Most people really don’t give much thought to the ins-and-outs of health insurance. Until I began the health insurance reform effort in Hawaii, I was one of them. You take your card to the doctor or pharmacy and have the standard arguments about getting things covered, but probably never think beyond that about regulation and why it matters. It matters. It matters a lot. I know you wrote this way back in October, but I wanted to have the chance to respond to your comments regarding my article "Obama administration pushed to ensure coverage of ABA for treatment of autism" (http://www.examiner.com/article/obama-administration-pressured-to-deem-aba-essential-for-treatment-of-autism). First off, I did not mean to convey that health insurance coverage for autism is currently enough, which it absolutely is not. In fact, the letter written by the senators I cited states that they, and by extension myself, do not believe current coverage is sufficient. Secondly, there is an addendum to the article addressing the OBM insurance issue: "The Office of Personnel Management (OPM) has requested that the author make the following revision to this article regarding the claim that ABA therapy is now mandated: "The U.S. Office of Personnel Management (OPM) lifted a blanket exclusion that ABA therapy was an educational service. Therefore, plans are now allowed to propose and include the coverage of ABA as part of the benefit package they offer through the FEHBP. There is no mandate that all FEHB plans provide ABA coverage." I hope this helps. Thanks for reading and for your passion on this subject. Thank you for your reply, Pasha. I thought your article was misleading--to me it sounded as if you thought federal employees would have autism coverage, when in fact, only a small number do. The areas where most federal employees live and work, the DC, Maryland and Northern Virginia area do not receive coverage...and of course, those of us in Hawaii do not either. HHS has not made any mention of how they will implement EHB #5 which includes Behavioral Health treatment. A lucky few federal employees receive some degree of coverage, but not most. With any luck this will change next year because there are more and more kids diagnoses with autism every day. Health insurance can be great support for the people with physical disabilities. 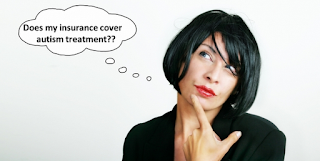 Every company provides different health insurance plans that may or may not work for you. Most companies make their best efforts to provide services and are also willing to work with you to determine your needs. Health insurances can cover certain areas including medical conditions including injuries or illnesses more specifically. Most of the companies also provide certain plans for family that will cover all the people in your family equally so you don't have to pay an extreme amount whenever you get sick or injured. Charly--it can be great support for people with physical disabilities, but generally not a great support for people with autism. The gold standard of care for autism is Applied Behavior Analysis and it is specifically excluded from every federal plan offered in Hawaii, and in most federal plans in most states. I was responding to an article written saying OPM had mandated autism coverage for its employees, which is simply not the case...and I have spent three legislative sessions at the Capitol in Honolulu trying to get insurance reform for autism for state-regulated plans and I promise you every health insurance provider here comes out to testify against--and resort to dirty tricks, inaccurate information (a euphemism for "LIES"), and scare tactics. Thanks for visiting, Ashley...Hawaii also did not pass autism health insurance reform this year, so my next blog will be about that.